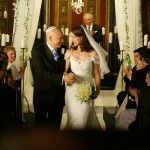 Where can a Jewish wedding take place? Do outdoor Jewish ceremonies have to be on the grounds of a licensed venue or can they take place anywhere? A Jewish wedding can take place anywhere. It can be indoors or outdoors and it does not need to be in a synagogue or in a licensed venue. This is one of the major differentiating factors to non-Jewish weddings. As long as you get married under a chuppah, you can let your imagination run wild in terms of a ceremony venue. Take your chuppah with you and travel anywhere! If you have a vision, there is a way to make it happen. Past Smashing The Glass wedding ceremonies have taken place in a cinema, in a farmhouse, on a street corner, in the grounds of a castle, in a Yorkshire forest… You get the idea — the list goes on and on. The choice is literally yours! Can any rabbi marry any Jewish couple in the UK? Any rabbi can marry anyone in the UK or abroad but the couple need to arrange the legal aspects separately. If the couple are both Jewish then they can get married anywhere in England (maybe the UK) under the auspices of a synagogue anywhere else in the UK. 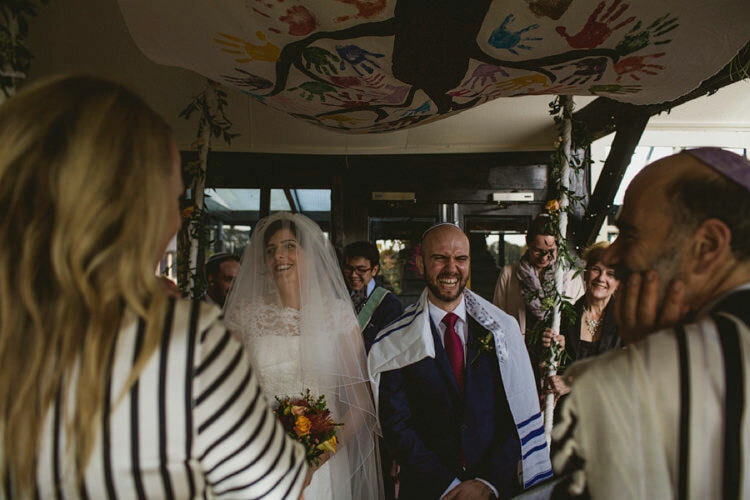 Do indoor Jewish wedding venues need to be licensed? If so, is a civil ceremony license sufficient? 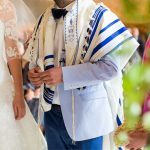 What role does the registrar play in a Jewish ceremony? As already mentioned, Jewish weddings do not need to take place in a licensed venue. 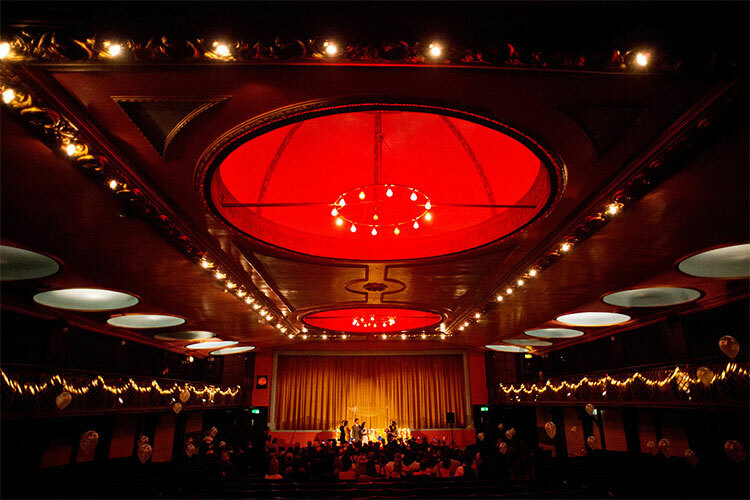 If a wedding takes place under the auspices of a synagogue then the couple, who need to be both Jewish, arrange their civil marriage with the synagogue’s registrar. This person is a member of the synagogue (it can be the rabbi) who is licensed to look after the legal aspects of the wedding. This person will sign the legal paperwork after the wedding. The couple do not need to get any other registrar in addition. I’m Jewish, but my partner isn’t. Can we still have a Jewish wedding ceremony with all of the Jewish symbols? If you or your partner are not Jewish then they can still have a wedding with all of the Jewish symbols but it cannot take place in a synagogue or under the auspices of a synagogue. (However, some liberal synagogues will do a blessing that is different to a wedding.) Some rabbis, such as Rabbi Paul Glantz, who are independent of any synagogue can help mixed and interfaith couples wanting to have a Jewish part to their wedding. This can include all of the symbols of a Jewish wedding such as the chuppah, exchanging rings, ketubah, the Sheva Brachot, and breaking the glass. Such couples need to either go to a registry office before the wedding or get a registrar to come to their licensed venue. Do I need to provide any proof of my Jewishness for the rabbi? Can you outline what liberal as well as orthodox rabbis would require, if anything. Rabbi Paul Glantz says, “I go by the example of Rabbi Louis Jacobs who said that as rabbis we are meant to trust people to tell the truth. So if someone says they are Jewish and even more so if they talk about their Jewish lineage then I would not question them further. This would be the attitude of many other progressive rabbis. Some non-orthodox rabbis will want proof in terms of your parents’ ketubah. It depends on the rabbi. The orthodox definitely require proof and will not give people the benefit of the doubt if no documented proof is possible. Thank you Rabbi Glantz, for enlightening us. Lovely readers, have we missed anything out? Or have you got any other questions on the topic? Do let me know via the comments box below. Having spoken to our shul they seem convinced that if you have a non kosher caterer then you cannot get married in the same venue as the food. Is this true? Hi! My partner and I were both raised Xtian. But when we started dating we both started questioning our beliefs. We both came to the conclusion that Judaism is the truth and the right religion. So we both have been studying Judaism for quite some time. We are both learning hebrew online. And we have a kosher kitchen. We want to convert to Judaism soon but due to financial difficulties we can’t move to a jewish community for the time being. Maybe in 2 years. Plus, both of us are still in college, almost done tho. We are both 23 years old. We understand that converting is a lifstyle commitment therefore for the time being we can’t begin the process to convert. We have decided to have an orthodox conversion. Now, knowing our background, we want to get married but we don’t wanna have just a civil ceremony. We wanna have a jewish wedding woth a ketuvah and all of that. Is it possible? Any rabbis willing to do this?